Advanced beginner to intermediate. it is helpful to understand the basic technology of proxies and VPNs so you get the most use out of the product. The company provides a wide array of tutorials. • You should know something about the technology before you sign up. • Some people have reported problems figuring out details. It is important to watch the tutorial videos when you first start out. If you want to surf anonymously, SSL Private Proxy is the company to go with. Their service and reliability are great. I want a fast, private proxy and that’s what I get. I like the fact that the support team gets back to me within 24 hours if I have a problem. Though not everyone needs this level of service, I really appreciate the fact that I can use three incoming IP addresses to authenticate my proxies. Since it works well with my SEO software, I think you can safely assume it will work well with most other types of applications. Good product, good service, good price - I recommend SSL Private Proxy. SSL Private Proxy is a subscription based private proxy provider that lets you surf anonymously. It offers private proxies and VPNs, as well shared proxies and VPNs. I use it personally and decided I had to do a SSLPrivateProxy Review to let you guys know that they’re awesome! I use SSL Private Proxy often. It is reliable and trouble free and works well with all of my SEO software. The setup is great when I’m link building. That’s when being anonymous is just good business practice. Some of you may be a bit confused about what proxies do and why anyone would need or want to buy private proxies to surf anonymously. Many office workers use private proxies and VPNs all the time. VPN stands for virtual private network. For example a salesperson might be traveling to Nevada from his home office in Florida. He needs to check info and upload a report so he logs onto the home office computer from his laptop as he sits at a Starbucks thousands of miles away. There is always the danger that people are spying on the info. To prevent that, businesses routinely use a VPN server. All info is encrypted as it goes through the link from the laptop to the server. If he needs to get onto the internet itself, the encrypted version is what makes it to the web from the VPN. With private web proxies and VPNs, no one spying on you can tell where you visit on the web. Security is high and where you visit online is cloaked in anonymity. Big companies can afford this type of infrastructure. As an individual, you need to rely on a company like SSL Private Proxy. Like I said, when I’m link building, I don’t think my competitors need to know I’ve been visiting their sites. I also prefer to do all my bulk link building and social postings anonymously. Another example of an individual might be an internet marketer who wants to sign up with Amazon in the U.S. even though he lives in Europe. This can be tricky unless you use the services of a company like SSL Private Proxy. I recommend them highly. They offer the best private proxies. 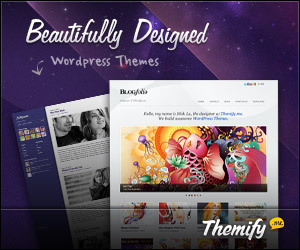 The company has a reputation among internet marketers for reliability and good prices. They have a number of pricing options to make it affordable even if you’re on a budget. The proxies are fast. Support is great. They reply within 24 hours to questions and problems. They’ve always been very helpful when I’ve contacted them. If you need a private browsing proxy, SSL Private Proxy is the company to buy from. They offer the cheapest private proxies you’ll find. 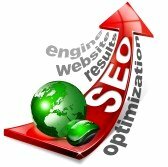 SEO Software like Traffic Travis, GSA Search Engine Ranker & any others. Traffic Generation such as Supreme Traffic Bot. And any other task you may need to do from a private proxy. Send bulk emails from them. SSL Private Proxy really does offer a professional fast private proxy service at great prices. Perfect for most SEO tasks. 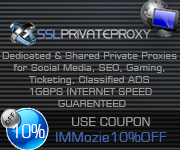 You can get a SSL Private Proxy discount coupon code offered exclusively by immozie.com. The SSL Private Proxy coupon will offer you a permanent 10% off discount on any purchases you make from sslprivateproxy.com. If you want to surf anonymously, SSL Private Proxy is the company to go with. Their service and reliability are great. I want a fast, private proxy and that’s what I get. I like the fact that the support team gets back to me within 24 hours if I have a problem. Though not everyone needs this level of service, I really appreciate the fact that I can use three incoming IP addresses to authenticate my proxies. Since it works well with my SEO software, I think you can safely assume it will work well with most other types of applications. Good product, good service, good price – I recommend that you get SSL Private Proxy. You can also read reviews on the other proxy services that are the best for SEO. Click here to visit SSL Private Proxy to get a fantastic private proxy service. Keep updated with the latest SEO Service Reviews by subscribing via email below.